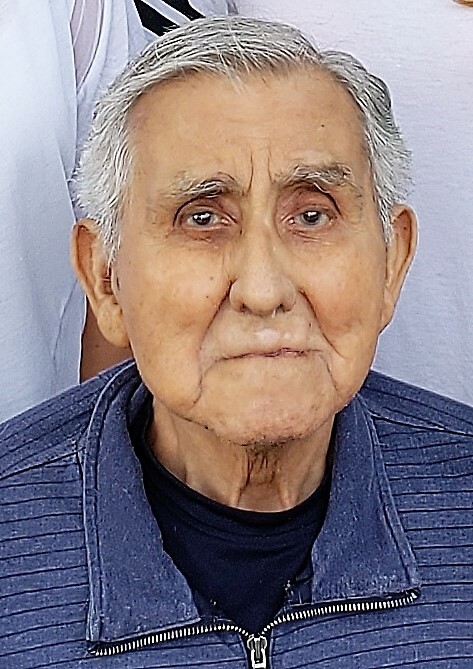 Ramon P. Gonzales, 89, left us to be with our Lord, Saturday, September 8, 2018, at Cambridge Court Assisted Living facility. Ramon was born on December 13, 1928 in Harlingen, Texas, to Juan Gonzales and Bartola Padilla. Mr. Gonzales worked for over 30 plus years with Brown Express as one of their best truck drivers and was honored with several US Truck Lines Safety League awards for his driving record with no accidents. He served in the US Army for 2 1/2 years as he fought in the Korean War on the front lines. In 1955 he was awarded the Combat Infantryman Badge for his outstanding performance of duty while actively engaged in ground combat. Ramon was preceded in death by his parents Juan and Bartola P. Gonzales, brother Guillermo Gonzles and his wife Lucilla and sister Francisca Garcia. He is survived by brothers Juan Gonzales and wife Lena and Antonio P. Gonzales and wife Gloria, numerous nieces, nephews and cousins. Even though our Uncle Ramon never married he was like a dad to many, loved by all, and never hesitated to help anyone when needed. He was a single god-parent to several when he lived in Harlingen.